Editing Case Unclosable was an extremely gratifying assignment. In many ways, it was always a work in progress. One thought led to the next, sections of the book were rearranged as the original manuscript evolved, new material was added to balance the text, and surprising turns of events were taken into account as they were reported in the media. Case Unclosable tells a personal story while making an important contribution to understanding the latter half of a gruesome century. I feel proud that I was invited to participate in this endeavor. Anna is an American Jewish psychotherapist who lives in Vienna. Nearly twenty-five years after her father’s untimely death, she is plagued by nightmares and feels compelled to solve the enigma of his unpublished, autobiographical novella, Tell Marvin. Dan Rosenberg, a New York attorney, is approached by a widowed Holocaust survivor who begs him to represent her son, Marvin. After returning safely from the war in Vietnam, he had been arrested on drug charges and imprisoned in Franco’s Spain. Although Marvin faces a harsh sentence, he is headstrong and reluctant to accept the clever escape plan that Rosenberg devises for him with the support of the US consul. Anna sets out to draw parallels between Marvin’s self- endangering episode in fascist Spain and her own venturesome decision to settle in Austria, a self-proclaimed “island of bliss” that thrives on the myth of having been Hitler’s victim, as popularized in “The Sound of Music.” Yet the more she ponders her experiences of anti-Semitism and the unforeseeable risks that she—like Marvin—took by underestimating the political situation in her adopted country, the more she discovers the striking similarities between her father’s vigilant, discerning traits and her own. Click here to read an excerpt from the book. To contact the author, please visit http://www.caseunclosable.com. 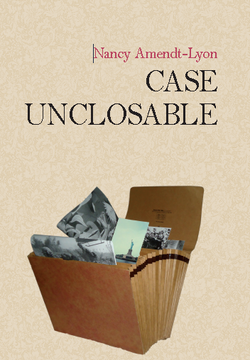 Case Unclosable received a very favorable review at Amamzon.com. Nancy Amendt-Lyon, born 1950 in Manhattan, studied psychology in the United States, Switzerland, and Austria. 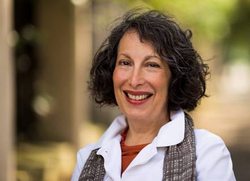 She is a psychotherapist in private practice and resides permanently in Vienna, Austria. "Philip Schmitz, my editor, deserves my endless thanks for his remarkable talent and support. It has been to my tremendous advantage that he is not only bilingual, but has also spent years living in Austria, the country I have adopted as my permanent home. His feeling for language, eloquence, and precise editorial comments are a blessing to any writer. I am fortunate to have worked with an editor who has resonated so well with my experiences and devoted his giftedness to this book."